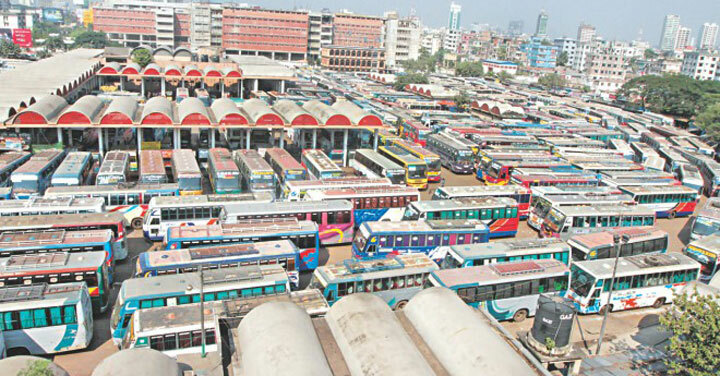 Dhaka, 3 August, Abnews: People continued to suffer for the 6th consecutive day in the capital on Friday as transportation remained suspended fearing vandalism by students demanding safe road and punishment of those responsible for the death of their two fellows in a recent road crash. The transport workers took position on the roads and staged demonstrations in the city’s Saidabad, Gabtoli, Mohakhali and Jatrabari bus terminal areas on Friday morning demanding their safety. On Sunday, Diya Khanam Mim and Abdul Karim Rajib, students of the college section of ShaheedRamizUddin School and College, were killed as a 'Jabal-e-Noor Paribahan' bus ploughed through some students in front of Kurmitola General Hospital on Airport Road.